For patients near Philadelphia, PA, Dr. David Spilkia offers comprehensive general, cosmetic, and restorative dental services to improve the health of your mouth. Your smile is linked to your self-esteem, and having a winning smile boosts your confidence and improves your personal and professional relationships. Cosmetic dentistry gives patients options for smile enhancement. David Spilkia Family and Cosmetic Dentistry offers various types of cosmetic dental services for your smile, including teeth whitening, veneers, orthodontics, bonding, and more. Cosmetic dentistry is the dental field that focuses on enhancing the smile’s appearance, which can mean improving the teeth and/or gums. The patient’s needs, goals, and the desired procedures determine whether material is added or removed from the teeth or gums, such as porcelain veneers or cosmetic bonding. The color, shape, and/or size of the teeth may also be altered. Although the main goal of cosmetic dental services is to improve the aesthetic appeal, in many cases, the health and functions of the smile are also improved with treatment. Cosmetic dental care complements the overall health of the mouth. Cosmetic dentistry is an effective choice for dramatic smile enhancement. Each treatment can produce a significant change in the smile’s physical appearance and boost the patient’s self-esteem. These services often include procedures to address tooth color, replace missing or damaged teeth, or correct the size or shape of the teeth. The desire to change your smile is a personal choice. Chipped, uneven, discolored, or missing teeth can lead to embarrassment or hidden smiles. Cosmetic dentistry has greatly increased in popularity in recent years as more options than ever are available. Patients want white, straight, even smiles. Enhancing the smile is a simple way to improve an individual’s physical appearance and boost self-esteem. Many cosmetic procedures give patients instant gratification. Tooth discoloration is one of the most common aesthetic complaints. The foods and drinks we consume and the lifestyle choices we make impact our teeth. Coffee, wine, tea, and tobacco stain the teeth. 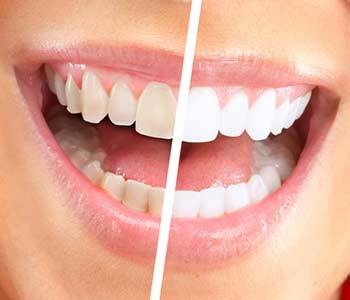 Many patients choose professional teeth whitening. This is a safe, popular method for dramatically brightening the smile. Although over-the-counter products are readily available, professional dental treatments utilize higher quality whitening agents and produce brighter smiles in a shorter period of time. Dr. Spilkia uses the KöR Whitening Deep Bleaching System, which is a tried and true method of professional whitening. Not only does this whitening system address the typical discoloration caused by foods, drinks, tobacco, or age, but stains from tetracycline antibiotics are addressed as well. No other system can improve this type of stain. In-office treatments produce significantly whiter teeth after a single dental appointment. 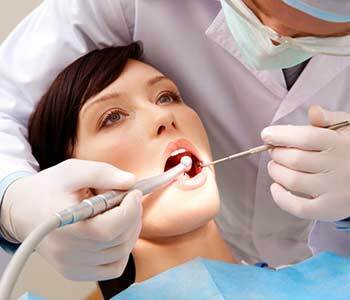 Dental restorations such as crowns, bridges, and dental implants repair and restore the teeth. As fixed restorations, they improve the function, form, and aesthetic appearance of the smile. Porcelain veneers are another option to change the appearance of teeth. Ultra-thin porcelain shells are bonded to the teeth to improve their appearance. Veneers can be used to alter misshapen, crooked, stained, uneven, or poorly spaced teeth. They may be used to correct a single tooth or for a smile makeover on an entire set of teeth. The end result is a more uniform, beautiful smile! This is just a short list of the treatments available at Dr. Spilkia’s dental practice. If you are interested in learning more about cosmetic procedures, the first step is to schedule a consultation. During your appointment, Dr. Spilkia will discuss your options for smile enhancements and help you choose the most appropriate treatments based on your needs, expectations, and budget. Contact the team at David Spilkia Family and Cosmetic Dentistry in Philadelphia, PA for an appointment today! The office can be reached at (267) 463-2777.